Also known as What happens when my customers click "Book Online"?. 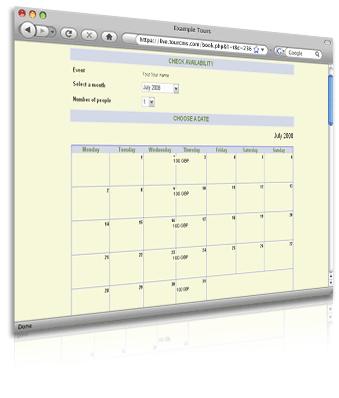 There are several options, the most common three are detailed below. 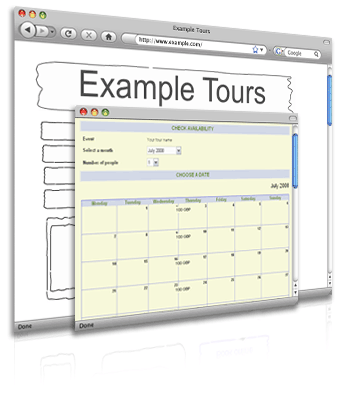 A standard web link to the TourCMS booking engine, the site visitor leaves the Tour Operators website and sees the TourCMS domain in their browser address bar. Logos etc can be uploaded, colours and fonts can be changed - advanced users can even add custom HTML / CSS and link back to their main website. The page will be secure and the customer will see their browser "padlock" at every step. 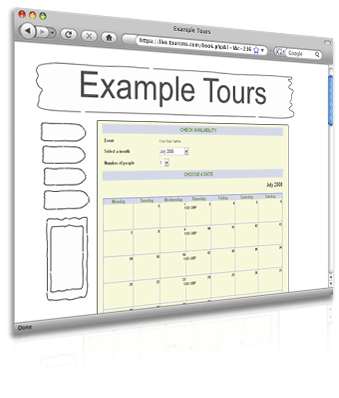 The customers stays on the original Tour Operator website and the Booking Engine is loaded inside an IFrame. Colours and fonts can be to match the original website, there is the choice of iframing just the first step of the process or all steps. 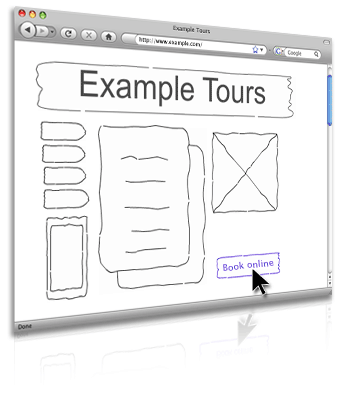 Similar to the "standard link" method however instead of leaving the original website the Booking Engine is loaded in a popup window. If the customer closes the poppup window they see the product page again. Colours and fonts can be changed, the popup page will be secure so the customer will see their browser "padlock" at every step.